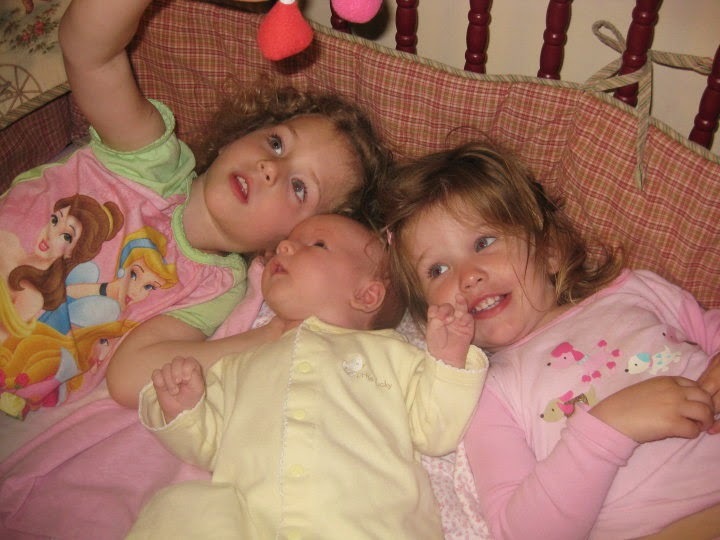 Savor The Crazy: "The Baby Experts"
Tonight I am taking supper to some sweet friends who just had their fourth baby. That combined with a screen saver full of baby pictures got me reminiscing about when our babies were actually that: babies. Within the first twelve hours of her life it had already been determined our baby would be of the "high maintenance" breed of women. 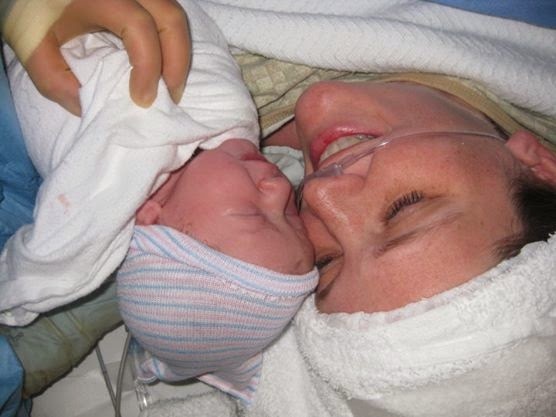 She had to come into the world via emergency C-section. About 2 hours after that it was determined she was allergic to the dyes and perfumes in the detergent used to wash the blanket in which she was swaddled up. (I think they figured this out by the fact that her eyes were swollen to the size of her daddy’s fist, and when she wasn’t crying she was sneezing. She was scaring the other babies in the nursery.) Also she only wanted to be minimally swaddled; her arms had to be left free of the blanket so she could scratch her face with her sharp-as-knives fingernails, or she would punish you by screaming. But she would scream when she inevitably scratched herself, so either way you were screwed. 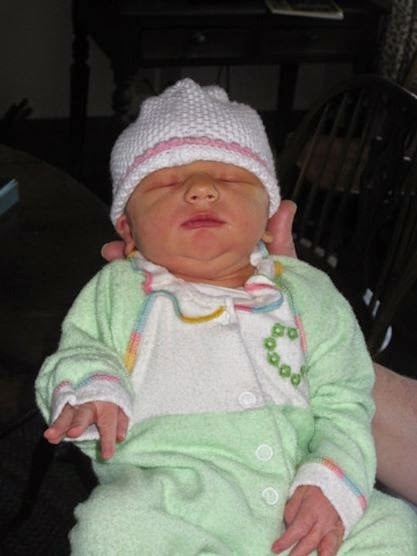 The unsympathetic doctors sent us home from the hospital two days after the baby was born. (Who in their right mind thinks that is a long enough hospital stay? I was hoping they would at least get me through the first month.) Got a car seat? We will give you a baby. And good luck with it. All three girls came home in this outfit, as did I. It always startled my mom to see one of the girls in it. She thinks it should still fit me. First night at home. Preston was determined none of our children would sleep in with us. And not just not in our bed but not in our room at all. I had thought that would be hard and something I would fight for after the baby arrived, but after meeting this screaming babe, I did not object. Still, I heard every move, grunt, and whimper through the monitor. No sleep was had. At all. She found her thumb and determined it was delicious and must be sucked on continuously for the next four years, prompting her dentist to inform us on more than one occasion to "go ahead and start putting money aside for braces! (evil laugh)." Grandma had bought her the softest blanket ever made which we solely used to swaddle her in her own special way since it had been washed in free and clear detergent and did not cause her to break out in hives. That miraculous blanket seemed to keep her from wailing, so we swaddled her in that blanket and that blanket alone for the next 6 months, causing an attachment that will be broken only when her husband forces her to choose between him or her blanket. It will be a tough choice for her. Night one at home and pretty much everything we thought about how we would parent was out the window. We fed her eggs and peanut butter long before we should have because she liked them and would eat them; we laid her on her stomach to sleep because she slept better that way. Never mind about all the "sleep on back" PSAs hanging around the pediatrician's office. I fed her whenever she cried (formula...not organic or soy... and from a bottle!) instead of only at times I prescheduled as had been the plan. I let her chew on car keys if it made her happy; not plastic ones designed for that, but real keys to the car. She ate ice cream at her cousin's birthday party when she was less than four months old. She had horrible reflux and would spit up whole feedings if she didn't have her prescription medicine, so we paid big bucks to make sure we never ran out of the stuff. She changed our lives and our plan in EVERY way possible. Not one thing went the way I expected it to. The verse from Proverbs 16:9 might as well have read "The heart of Martha plans the way of the baby, but the Lord will let the baby establish Martha's steps." Some people love this baby stage and thrive during it. We just wanted to survive. And we did. And then we survived two more times of it. And each time got easier. Honestly, I'm scared for how little attention a fourth child might get from us. Now I love to hold teeny babies and hear their sweet little cries and coos....and then I love to pass them back and go home and sleep through the night. If you are in the midst of these days, I pray you are loving them and able to let things go without guilt. Mistakes will be made. Daily. And for the life of me, I cannot understand why it was so important to organize the toys into cute color coordinated bins. Or cook every single meal entirely from scratch...even down to the bread. Or squeeze in a workout during naptime to lose those last 15 pounds of baby weight. (This one still appears to be unimportant to me!) If you have the energy to wash the dishes, by all means do the dishes. But if they don't get done...so what? They will still be there. And you will still be able to wash them. If I had those baby years to do over again, I would let those things go sometimes and instead play more, nap when the baby napped, invite people in even when there were more crumbs visible than floor. Martha, thanks for your share.